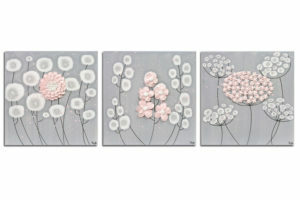 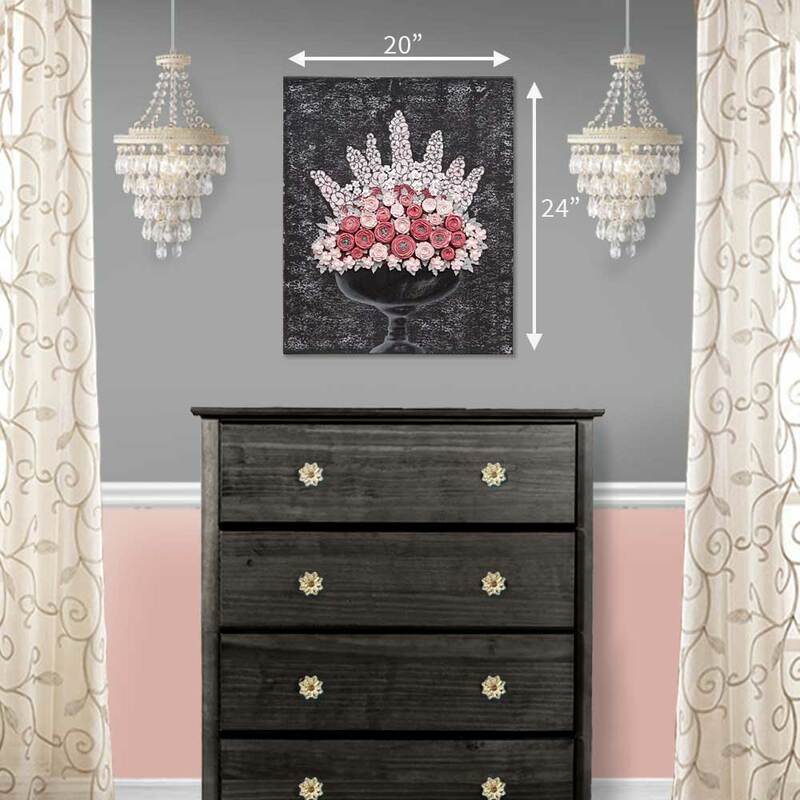 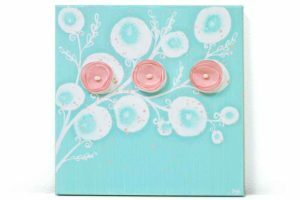 This sweet nursery art is so stylish your baby girl will still love it when she is all grown up. 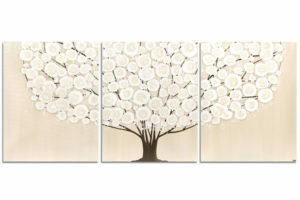 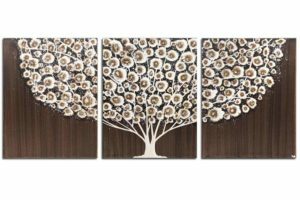 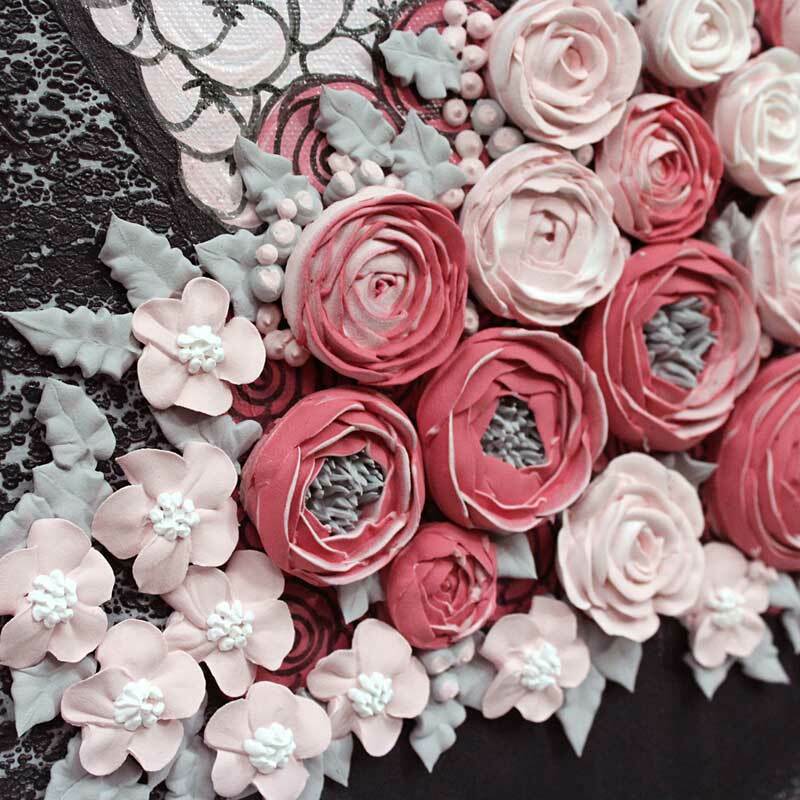 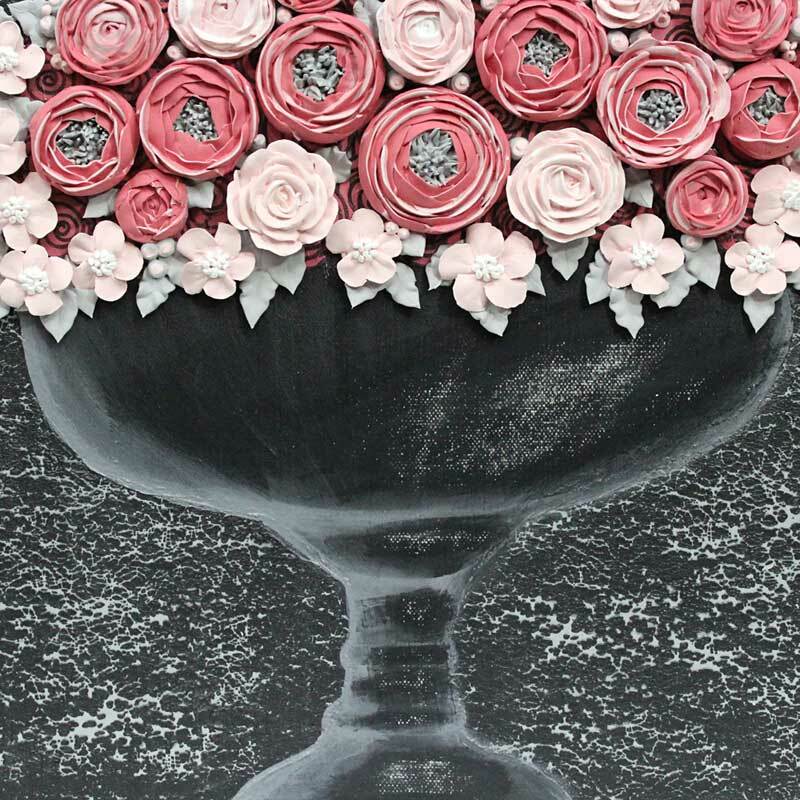 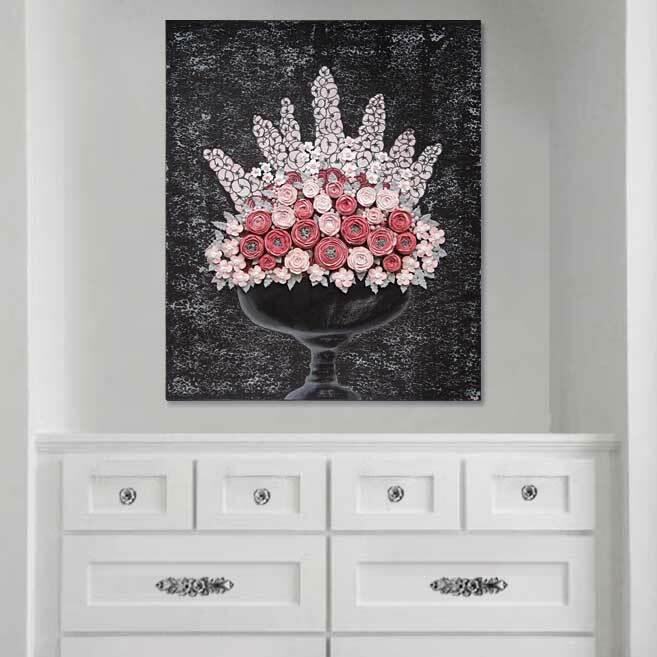 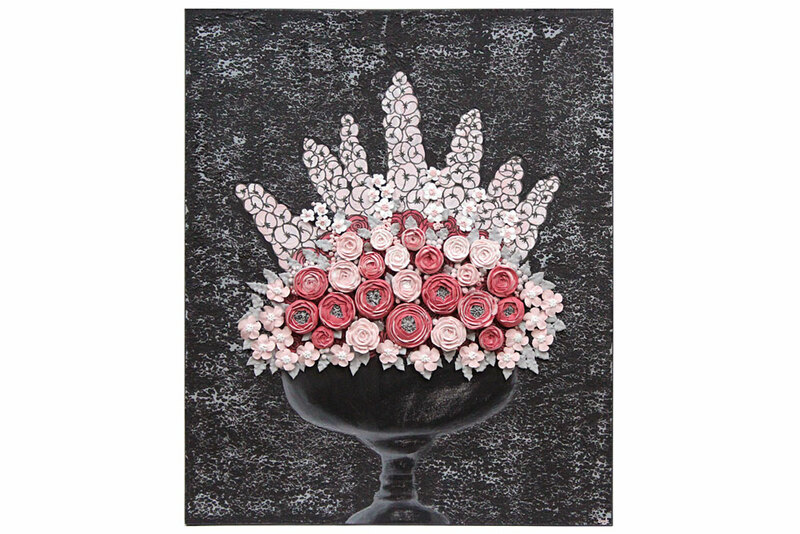 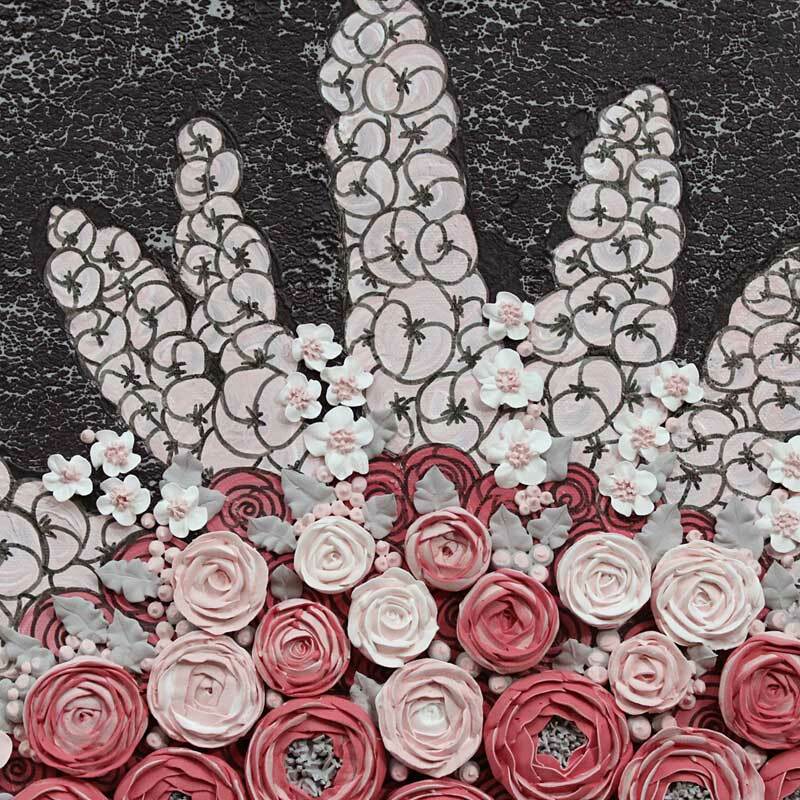 The hand-sculpted flowers on this wall art form a beautiful bouquet of roses, peonies, and apple blossoms. 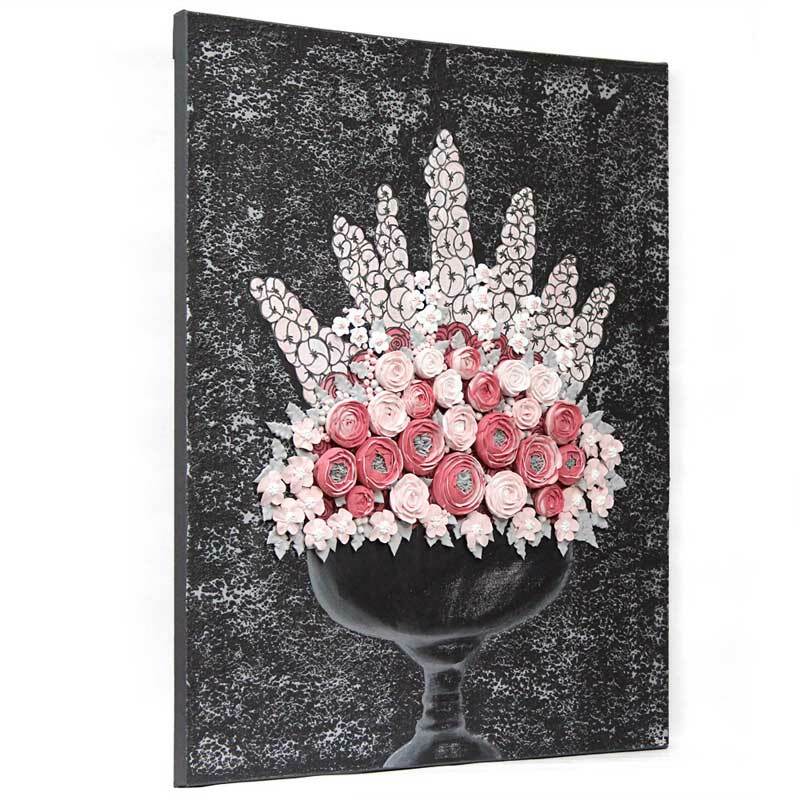 Delphinium flowers are painted in the charcoal and gray textured background.